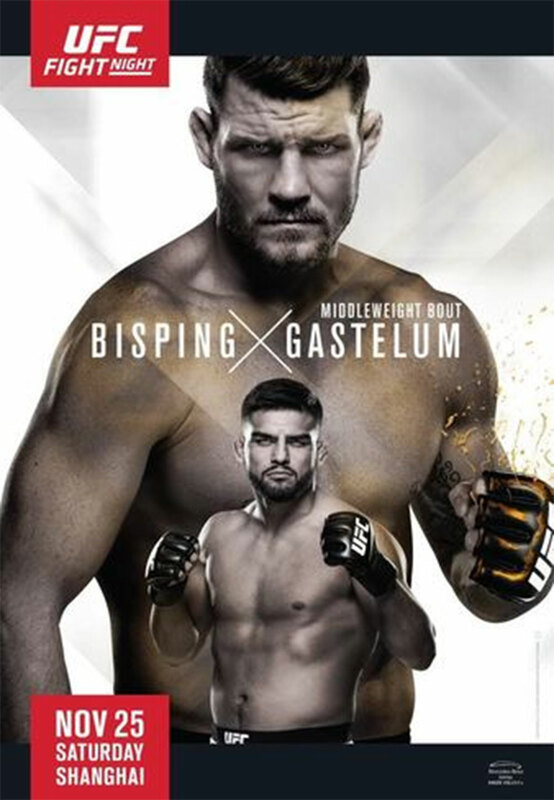 “UFC Fight Night 122: Bisping vs. Gastelum” took place Saturday inside Mercedes-Benz Arena in Shanghai. Former UFC middleweight champion Michael Bisping insisted on making a quick return following this month’s submission loss to Georges St-Pierre at UFC 217. Perhaps “The Count” should have counted a few more days on the calendar before reentering the cage. Bisping was knocked out cold by Kelvin Gastelum in the opening round of today’s main event. Gastelum called out interim middleweight champ Robert Whittaker after posting “the biggest win” of his life. If you thought Bisping would ride off into the sunset after getting finished for the second time in as many outings, think again. The brash Brit said “it will take a bigger piece of s*it” than Gastelum to get rid of him. Bisping wants his farewell fight to take place in March when the UFC returns to his homeland of England. Gastelum was originally scheduled to face Anderson Silva, but Silva was yanked at the last minute after flunking yet another drug test.